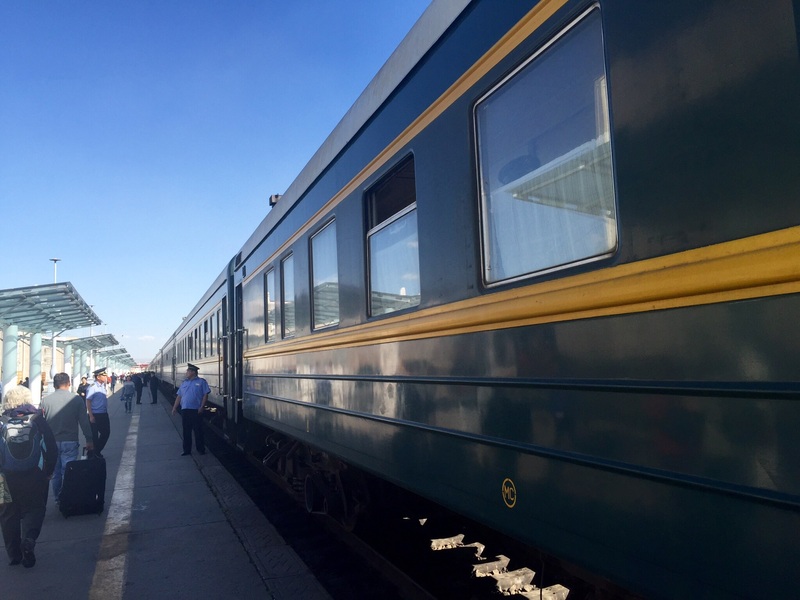 Since we ended up flying from Beijing to Ulaanbaatar, our first experience with an official Trans-Siberian Train was leaving Mongolia for Russia. 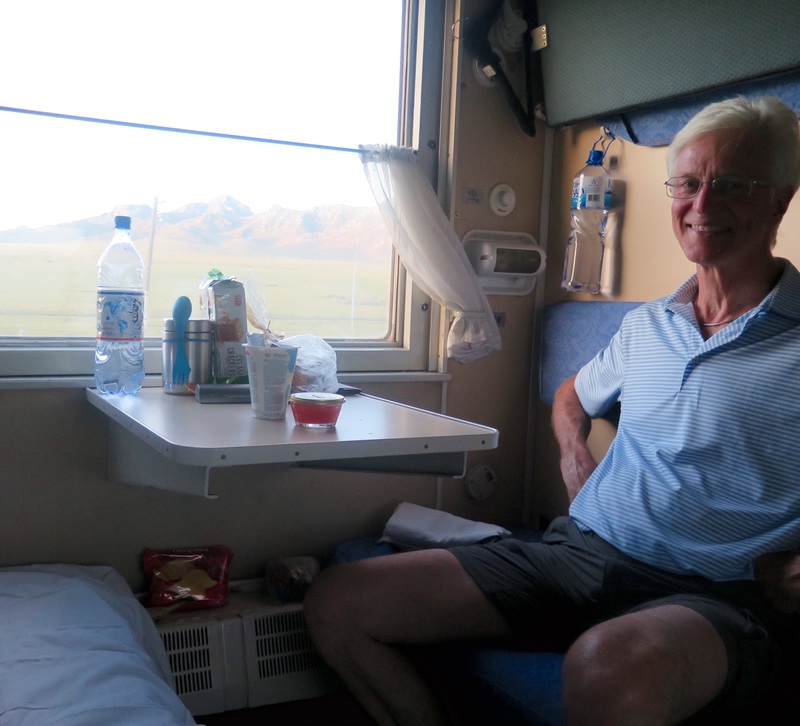 We boarded train number 3 in Ulaanbaatar, and approximately 24 hours later disembarked in Irkutsk. Where have we been, where are we going? The sign on the side of the train. 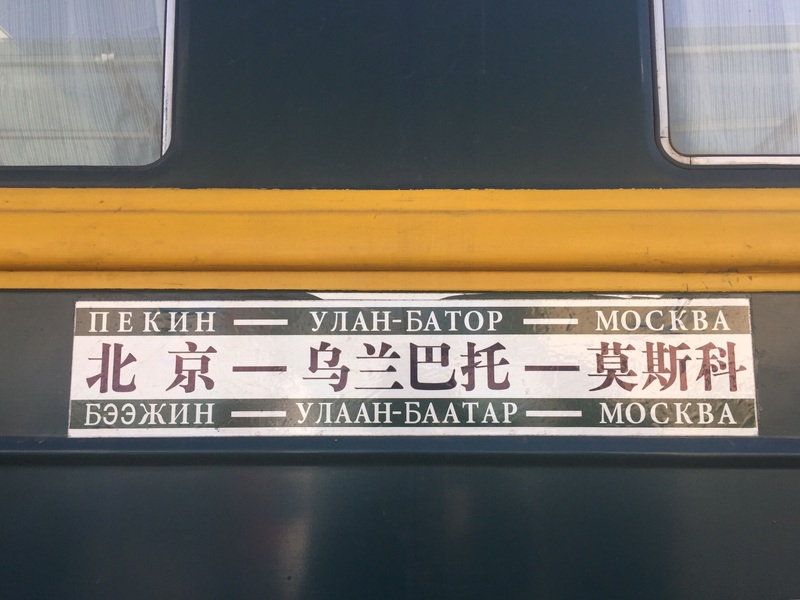 Beijing –> Ulaanbaatar –> Moscow. Train #3 at the train station in Ulaanbaatar. Also, there was no tea. This was disappointing. Steve and I are traveling kupe class. This is my preferred class, because it’s comfortable and semi-private. In this class, the train car is divided into 10 or so compartments, each with two upper and two lower berths and a small table by the window. During the day, everyone sits on the lower benches. At night, you each have your own bed, and can close and lock the compartment. There is a less expensive class is called platzkart (probably spelled differently by more knowledgeable people), where another row of beds/seats is added along the aisle, and there are no separate compartments. Everything is open. This is a fine way to travel if you’re short. If you’re at all tall (and keep in mind I’m only 5’10”), your feet will hang off the end of the bed and people will bump into them as they walk along the aisle. That’s really annoying and makes it hard to sleep. In both of the above train classes, there are (usually incredibly smelly) bathrooms at either end of the car. You should bring your own toilet paper. And soap. I believe there’s also another, deluxe class, but I’ve never traveled that way and don’t know what it offers. But back to our train trip. Our train was a bit late, which I’ll generously use to excuse our train attendant for not cleaning the compartment we were in. Meg had bought our tickets, and we both had lower berths, and in the end had the compartment to ourselves for the entire trip to Irkutsk. We settled in by stowing our suitcases and straightening up the compartment a bit. We set out the food we’d brought for the trip (mostly bread, crackers, cheese, salami, and fruit). We took off our walking shoes and put on our train slippers. After the train left the station, we changed into our train clothes (stretchy pants and a t-shirt in my case, shorts and a t-shirt in Steve’s). The train attendant brought by our sheets, but it was early yet so we didn’t make up our beds. 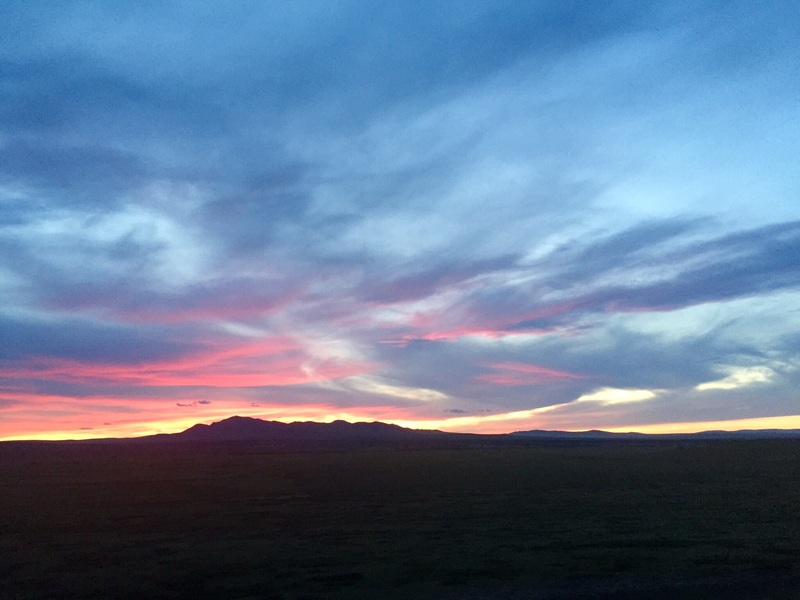 And then we settled in to watch Mongolia flow by, passing through some landscapes we recognized from our tour with Meg, and some that were different. All were beautiful. The sunset was glorious. Sunset from the train. It seemed to go on forever, getting lovelier every time we looked away and back. We passed into Russia in the middle of the night. This involved multiple awakenings over 2 to 3 hours. The Mongolian customs agent was remarkably thorough (especially since no one bothered to even really wave at us when we arrived at the airport). They took our passports, then brought them back in 30 minutes or so with an exit stamp. Then along came the Russian passport control agents, who asked more questions than I at least expected (can’t speak for Steve), and left. Then the customs agent–or possibly security, as I also saw a giant german shepherd pass through the car around the same time–came and asked us to step outside while they inspected our compartment for contraband. (We heard them through the wall diligently asking the people in the next compartment why they had so many bottles of the same thing.) Then more passport people, who took our passports, stamped them, and handed them back. We were now, officially in Russia. And in the morning we woke up in Russia, and a more Russian look and feel to things. More mountains, more pines. As the day went by, more yellow in the trees. 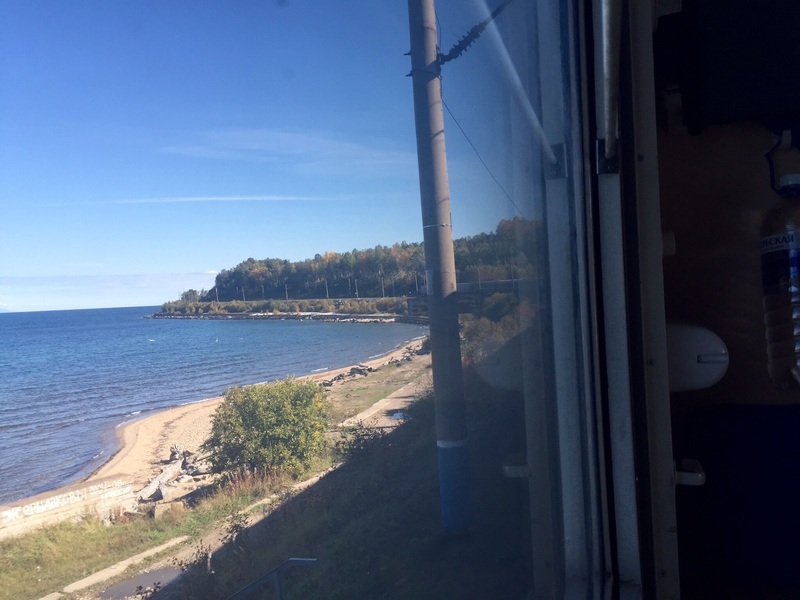 It was as though we were taking the train into Autumn. Lovely. Here’s what I noticed: More wooden houses. Ornate and beautiful wooden shutters. Fewer herds of livestock, and more wire fences. No gers. More trash on the ground. More aging concrete buildings, abandoned before completion or else not maintained and falling in. More colorful walls, less colorful roofs. 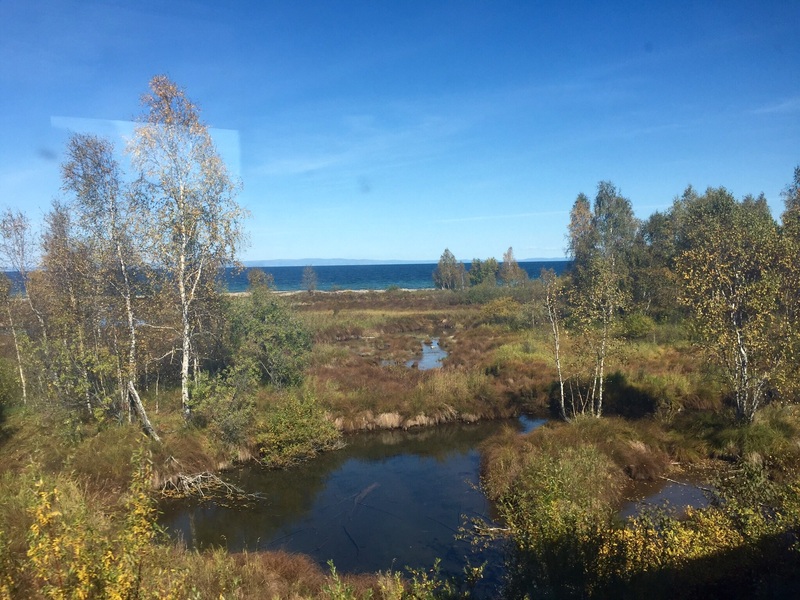 In the early afternoon, we saw Lake Baikal from the train. That was a thing, let me tell you. I’ll remember that. 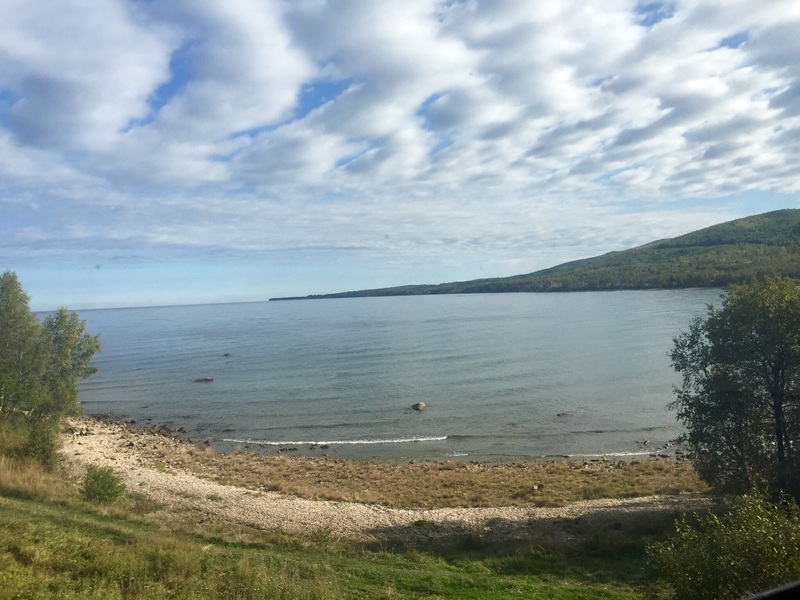 The countryside around Lake Baikal is also beautiful. This was the one time when we went around a bend and I looked at the right moment to see the back of the train from our compartment. 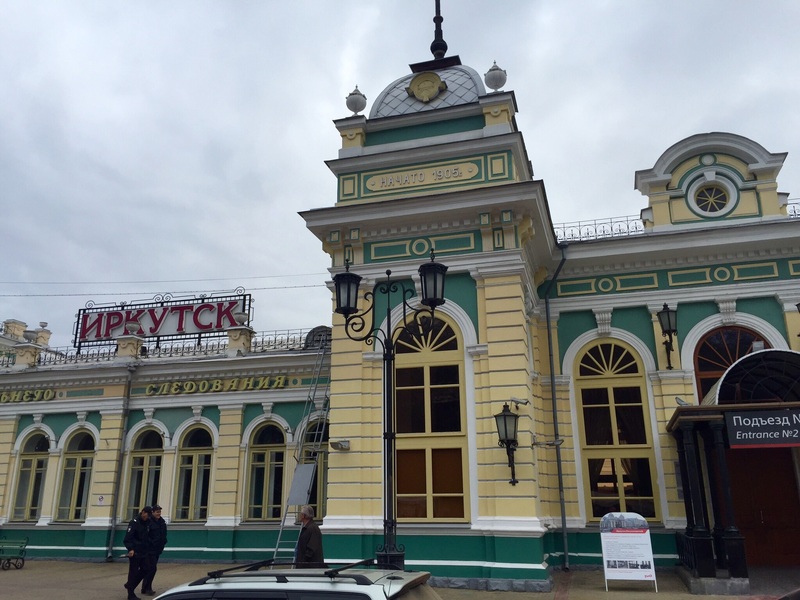 A couple hours after that, we arrived in Irkutsk. Our first segment on the train was over. 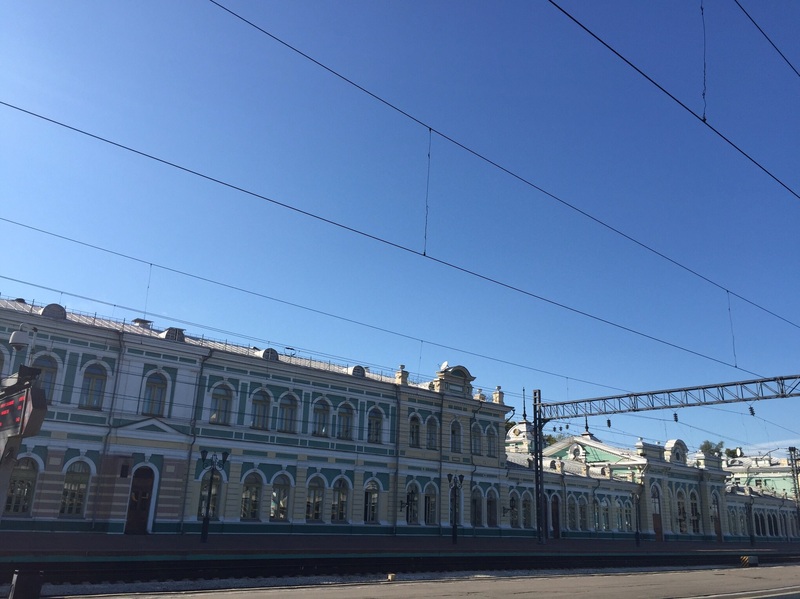 Arrival at the train station in Irkutsk. A shot of the train station from the street. Isn’t it pretty? Edited to add: Steve talks about trains in From Mongolia to Siberia and Patriotic fervor (although the latter post deals with the next leg, not this one).